Competition in today's marketplace is fierce. With the advent of the Internet, you may be a large company that finds itself competing for top search engine spots with smaller companies. Or you may be a small company that realizes that you can use professional website design, search engine marketing, and website promotion to compete with the big dogs in your industry. Dynamic Digital Advertising, a custom website design company, designs and develops corporate websites that compete effectively for top search engine spots using proven natural search engine marketing strategies. The first of these strategies is the competitor marketing analysis. search engine rankings, more visitors, and increased growth for your business. Websites that are poorly constructed are much less capable of attracting visitors who are interested in the products and services offered by you and your competitors. DDA works with you to make sure that your website attracts those interested in more information on your products or services and researches only those websites who are competing successfully for the same traffic. Online companies are stronger than those that are not online, and companies with better corporate websites are even stronger. Do you competitors have good websites? Dynamic Digital Advertising analyzes the marketing and search engine optimization strategies utilized in competitors’ websites. Whether it is building stronger optimization modules for an important keyword or creating a more distinct call-to-action, DDA discerns what needs to be developed in order to impress search engines and website visitors alike and win new business. What are the strengths and weaknesses of these strategies? By analyzing a competitor’s website, Dynamic Digital Advertising discovers what strategies are working for them and what may be attracting the wrong type of traffic. By studying the tools that are working for competitor’s websites, DDA learns what must be built to exceed them. By understanding their weakness, DDA is able to see areas in which your company can easily become a market leader. Internet Leaders, Challengers, Followers, Nichers: Who are you? Internet marketing and website promotion are both extremely flexible areas of marketing. Whereas real world business clearly establishes the industry leaders, the Internet allows even small companies to be leaders in their industries. Dynamic Digital Advertising builds websites that clearly target your potential buyers. Depending on the strength of rival companies’ websites as well as the competition for certain keywords, DDA builds a corporate website that can lead the market in some areas and corner a niche market in others. The result ultimately is more business for your company through the search engine marketing power of our proprietary website design and development process. for success in the website design and development process. DDA Medical is a medical marketing and advertising agency with services that run the gamut from Internet advertising to outdoor advertising, working to uniquely position the products of medical device manufacturers both nationally and globally. We leverage our experience in the industry to ensure that your products are correctly marketed according to FDA guidelines with proper labeling and branding. At DDA Medical, we know that first impressions are critical, and, as a result, implement medical marketing strategies and ideas for medical direct-to-consumer and business-to-business advertising to leave positive impressions on a target demographic. When marketing medical equipment, rely on the professionalism and ingenuity of DDA Medical. Medical Website Design and Development is just one medical marketing service we provide. Click on the following to learn about different opportunities available to expand your customer base: Medical Print Design, Medical Video Production (for training or promotional purposes), Medical Trade Show Graphics, and more! Impeccable video editing, special visual and sound effects (FX), 2D, 3D and flash animation, scriptwriting, and storyboarding don’t even scratch the surface of the vast video production services offered by Dynamic Digital Advertising (DDA). A full-service video production studio and advertising agency, DDA has reinvented the process of how Corporate Videos and Medical Videos are made. Impress potential clients with an informative and engaging Tradeshow Video, Product Demonstration Video, or Corporate Sales Video. For those in the medical or industrial industry, explain complicated processes or products with an Instructional Video, Educational Video, or Training Video. DDA is the video production company that has it all; high-quality services, exceptional customer service, and continuing innovation. Dynamic Digital Advertising offers a full line of custom graphic design services which are perfect for creating the right imagery for custom website design, brochures, calendars, business cards, corporate videos, trade show booths and displays, sell sheets, large format graphics such as billboards or bus signs, virtual reality, product demonstration, and much more. 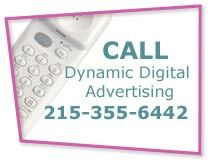 Dynamic Digital Advertising, in fact, provides one of the largest and most diverse graphic design service lines in the United States. 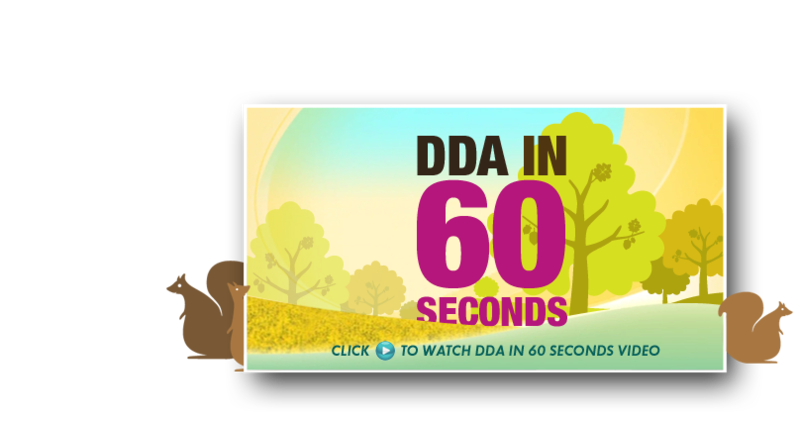 Coupled with our state-of-the-art advertising capabilities which include professional website development and management as well as custom web database programming, graphic design at DDA is able to fill virtually any advertising need.